Florida Fish and Wildlife Conservation Commission (FWC). Our hearts go out to those affected by Hurricane Michael as the impacts of this storm continue to unfold. Our number one priority is the health and safety of residents and visitors. The FWC and its land management partners continue to assess and restore wildlife management areas (WMAs) in northwest Florida that are closed due to Hurricane Michael. Check the closed status of our WMAs and other facilities before heading afield. As WMAs and facilities reopen, they will be removed from the list. This webpage will be updated as new information is available, so check back regularly. Be aware that in some cases, WMAs may be open but might have road closures within the area. Some WMA closures will impact hunts (quota and non-quota). We recognize the importance of these public land opportunities and are working on options for impacted hunts, such as restoring preference points where applicable. The FWC will follow-up with additional details about impacted quota hunts. 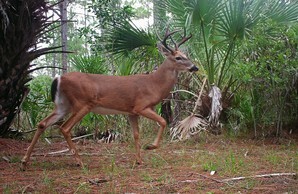 On Saturday, Nov. 3, Florida’s Zone C general gun deer season on private land begins. Zone C is Florida’s largest hunting zone, encompassing the central and northern part of the state. The general gun deer season runs Nov. 3 – Jan. 20, giving hunters the chance to go afield and even introduce someone else to deer hunting. The FWC has developed online resources to make it easier for mentors and new hunters to get started deer hunting, including a list of wildlife management areas that allow public land hunting without a quota permit. To take part in the Zone C general gun season for deer, hunters need a Florida hunting license and a deer permit. In addition, those planning to hunt one of Florida’s many wildlife management areas will need a management area permit. Get more information about Florida hunting licenses and permits, hunting season dates and information about deer management units. Don’t forget that beginning this year, WMA regulations brochures are available online only. Before heading afield, print, take a screen shot, or download WMA regulations brochures and maps to a mobile device. If you haven’t provided your thoughts about hunting-related draft rule change proposals, please take a few minutes to do so now. FWC staff is at the beginning stages of the rule development process for 2019-2020 hunting seasons. We’re seeking input on the package of hunting-related draft rule change proposals, including many dealing with deer management and FWC-managed lands. FWC Commissioners will consider hunting-related draft rule change proposals at their December 12-13, 2018, meeting in St. Augustine and provide guidance to staff on how to proceed. Commissioners will consider the proposed rule changes for final adoption at their February 2019 meeting. If adopted, most rules will take effect on July 1, 2019, and be in place for the 2019 hunting seasons. Please take a few minutes to view proposed rule changes and provide your thoughts. 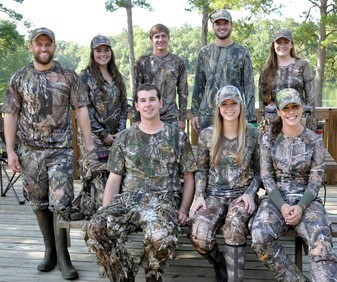 Do you know an adult who is interested in learning to hunt? The New Hunters Weekend held Jan. 18-20, 2019, in northwest Florida provides an educational, mentored introduction to hunting. This event, hosted by the Future of Hunting in Florida, uses expert instructors to teach adult participants about hunter safety, scouting, deer behavior, conservation and how to field dress and prepare venison. Participants will have the opportunity to experience hunting with a mentor. The New Hunters Weekend also features a great opportunity to connect with nature in a rustic camp setting that provides comforts afforded by a generator. There is no cost for the hunt, though, each participant is asked to donate $40 to help pay for meals. New hunters also must have a valid hunting or hunting mentor license. To reserve a spot, contact John Fuller at johndfullerpa@comcast.net or call 850-509-4099. Find more information about how to get started hunting. In Florida, if you encounter sick deer or those found dead of unknown causes, report them to our toll-free CWD Hotline at 866-CWD-WATCH (293-9282). Learn more about CWD: MyFWC.com/CWD. While some hunts still require you to have a permit or tags in hand, this is another way to keep up with your licenses and permits. For quota permits that allow you to bring a guest, please print the guest permit from your account at GoOutdoorsFlorida.com. Download the Fish|Hunt App on Apple or Android smart phones or tablets from the App Store and Google Play. Returned fall quota hunt permits may be applied for throughout the deer season during weekly application periods. These reissue drawings can be applied for between noon on Saturdays through noon on Tuesdays, with results posted at GoOutdoorsFlorida.com. Youth Hunter Education Challenge (YHEC) is a program for hunter safety course graduates aged 18 and younger to learn more about leadership, ethics and safety while expanding their knowledge about conservation, target shooting and hunting. When: Nov. 3 from 9 a.m. to 3 p.m. Note: Youth aged 8 to 18 are invited to participate in the Lakeland Youth Hunter Education Challenge (YHEC) Team Invitational Tournament. The match will focus on 3 YHEC disciplines: shotgun, archery, and skills trail. Teams and individuals are encouraged to bring the following safety gear and equipment, but loaners will be available: safety glasses, hearing protection, bow, 6 arrows, arrow release, binoculars, shotgun, compass, and clipboard. Lunch will be provided to all participants. When: Dec. 8 from 10 a.m. to 2 p.m. When: Dec. 15 from 10 a.m. to 2 p.m. When: Dec. 16 from 1 p.m. to 4 p.m. When: Nov. 17 from 8:00 a.m. to 2 p.m. Note: Sporting clays course will reopen to the public at 2 p.m.
Hunter safety courses cover firearms safety, wildlife conservation, responsible hunting and more. Students can attend a no-cost traditional classroom course. Or they can complete the classroom portion online. FWC’s website offers several online courses including a FREE option. After the online classroom portion is complete, students must sign up and attend a skills day. Learn more about Florida’s hunter safety course options. 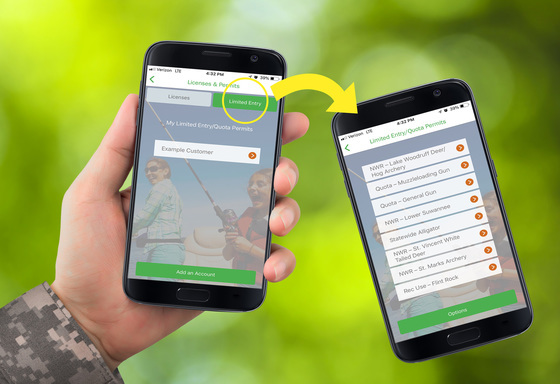 Before heading afield, print, take a screen shot, or download WMA regulations brochures and maps to a mobile device so you can access them without an internet connection. Bookmark these links to find information fast! Learn more about hunting in Florida at MyFWC.com/Hunting. Like, subscribe and follow HuntFlorida at Facebook.com/HGM.FWC and YouTube.com/HuntFloridaTV for updates about hunting opportunities and future regulation changes. Subscriber Preferences: Add/remove subscriptions, modify your password or email address. Use your email address to log in. Unsubscribe: Removes your email from the system.